Conroy's Flower is the local retail florist specialized in the flowers arrangements to suit customers' need for any occasions whether it is a Birthday, Anniversary, Congratulations, Everyday, GetWell, ThankYou, Just Because, Romance, BusinessGifts, ThinkingOfYou, LoveYou or Celebration. We offer a quick and guaranteed same day & hour services for any seasonal arrangements of customer's choices including Holidays, Fall, Halloween, ThanksGiving, Christmas , Winter ,Mother's day and Valentine's day. 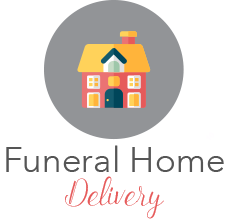 In addition, we provide premium delivery services of sympathy funeral flowers based on the custom needs in addition to specialized Casket Design, Standing Spray and Basket Arrangements. Our strength lies in the customer satisfaction by providing the fresh flowers and prompt quality services for all arrangements including wedding arrangements of Bridal Bouquets, Bridesmaids, Cake Decorations, Centerpieces, Ceremony Arrangements, Corsages and Boutonnieres. We are expert in designing the plant arrangements with Tropical , European/dish gardens, Orchid, Kalanchoes and Money Tree plants. We are the leading trusted flower shop in the South Bay with 100% satisfaction guaranteed by providing best quality flowers and plants. We offer reasonable and best prices for all occasions with highest CSI (Customer Satisfaction Index) endorsed by 1800Flowers. We will match all competitor prices. Our loyal and happy customers base have been growing tremendously through existing customer's referral with their friends, family and community. We believe that Flowers always make people better, happier, and more helpful; Flowers are sunshine, food and medicine for the soul. We will do everything we can to ensure that your experience with us is a pleasant one. Our goal is to make your floral gift perfect and to delight both the giver and the receiver. Please call, click or stop by and let Conroy's Flowers of Redondo Beach be your first choice for flowers. We specialize in the the Large inventory of fresh flowers· Tropicals· Plants· European/dish gardens· Contemporary and traditional arrangements· High-style floral arrangements· Silk arrangements· Weddings· Funeral designs· Extensive gift line· Gourmet and fruit baskets· Gift baskets· Greeting cards. all orders can be delivered the same day. We will create and deliver any beautiful flower arrangement or gift in Redondo Beach. Our flower shop uses only the best flowers and blooms for any occasion, including sympathy flowers. We will make you a wonderful floral arrangement. Just give us a call, and we will cheer up any situation. You can also use our flower shop website for convenient online ordering and flower delivery in Redondo Beach. Whether you want to send a thoughtful funeral flower arrangement, anniversary flower arrangement or just a birthday arrangement, your beautiful flowers will be hand designed and delivered by expert florist conroys in Redondo Beach, CA. Funeral arrangements and sympathy arrangements from Conroys can be the best way to send your condolences. Conroys offers beautiful flower delivery in Redondo Beach, designed and arranged just for you. Conroys is the premier flower shop for all your Redondo Beach flower delivery services. We make sending flowers fun! Our flower shop is located in the heart of Redondo Beach, as we are the best florist in Redondo Beach, with the freshest flower delivery in Redondo Beach. We have a wide range of selection of plants and gift baskets for all occasions. 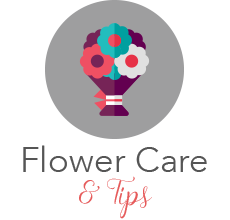 Send flowers in Redondo Beach and surrounding areas. Conroy's flower is the family owned local premier flower shop for all your flowers and plant arrangements needs, We are a local brick and mortar florist who is the specialized in the flowers arrangements to suit your need for any occasions. We deliver flowers and arrangements within an hour of the order time until 5pm every day including Saturday and Sunday to all beach cities including Redondo Beach, Hermosa Beach, Manhattan Beach, Hawthorne, Lawndale, Torrance, Gardena, Inglewood. Our shop serves and delivers flower to Redondo Beach and the following areas within an hour: Hermosa Beach, Manhattan Beach, Torrance, El Segundo, Rancho Palos Verdes, Palos Verdes Estates, Rolling Hills Estates, Gardena, Lomita, Hawthorne, Lawndale and Inglewood. Zip Codes 90254, 90266, 90277, 90278, 90267, 90501, 90502, 90503, 90245, 90275, 90274, 90247, 90248, 90249, 90717, 90250, 90251, 90260, 90261, 90301, 90302, 90303. 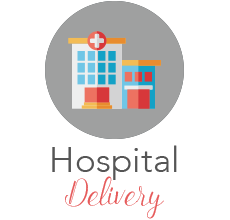 We are open for the services and delivery 7 days a week.